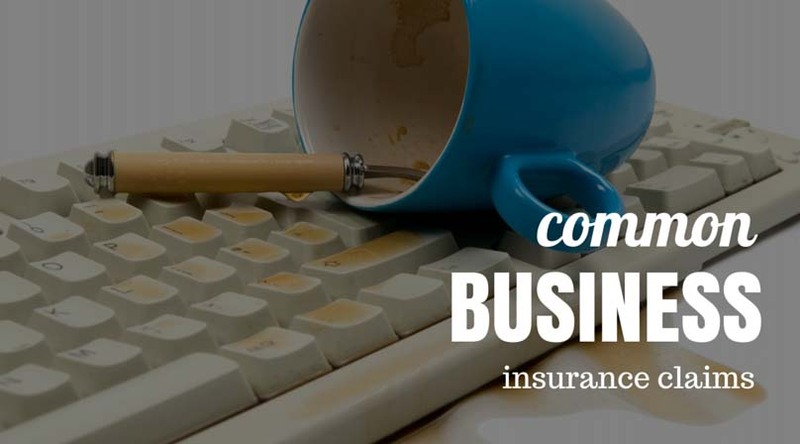 Insurance claims against businesses are so commonplace these days that 40% of all small businesses can expect to sustain a property claim or a general liability claim within the next decade. So says The Hartford’s analysis of all small business claims tabulated over a five-year period in their study. While such claims often come as a surprise to small businesses, they really shouldn’t, due to the prevalence and sheer numbers compiled across the nation. Here’s a rundown of five of the most common types reported in The Hartford’s insurance claims analysis, which by the way, included more than 1 million claims. During the five-year study, burglary and theft claims were experienced by at least 20% of small businesses, although these type of claims were also the least costly of any type in the Top 10. To protect your company against these kinds of claims, conduct thorough background checks of employee candidates, and install adequate security measures at your facility, such as alarms, fences and locks. Claims for reputational harm, which fall under the category of general liability, often involve much bigger payouts, since a lawsuit is involved in 35% of all cases, and when this happens, an average reputational harm claim can cost $75,000 in total. Criticizing or otherwise publicly embarrassing someone can often invite this kind of claim, so it should be avoided carefully, as well as any kind of adverse online reference to someone who has dealt with your company. Fire claims rank high in both the most common list of insurance claims, and the most costly, since the average cost for a fire claim is approximately $35,000, and it affects at least 10% of all the small business owners surveyed. The best way to protect against fire claims is to regularly inspect all fire prevention equipment, and to post fire escape routes prominently in all areas of your buildings. Vehicle accidents were the second most costly kind of claim, averaging $45,000 in a typical settlement. Since you can’t be sitting next to an employee driving to or from work, the next best thing you can do is regularly remind employees about safe driving habits, and encourage considerate and safe behavior in the parking lots, where many claims are actually triggered. Product liability was another insurance claim in the Top Five most costly, with the average claim instance resulting in a $35,000 settlement. If a product does not perform as expected under normal conditions, it may be the result of inadequate testing before release to the general public. Since these claims tend to be among the most costly to small businesses, it’s worth going the extra mile to be sure that a product is 100% safe under all reasonable conditions before marketing it.